Trends show that Pakistan’s total trade during 2013-17 has been declining. During this period, exports have declined from $24.46 billion in 2013 to $20.44 billion in 2017. 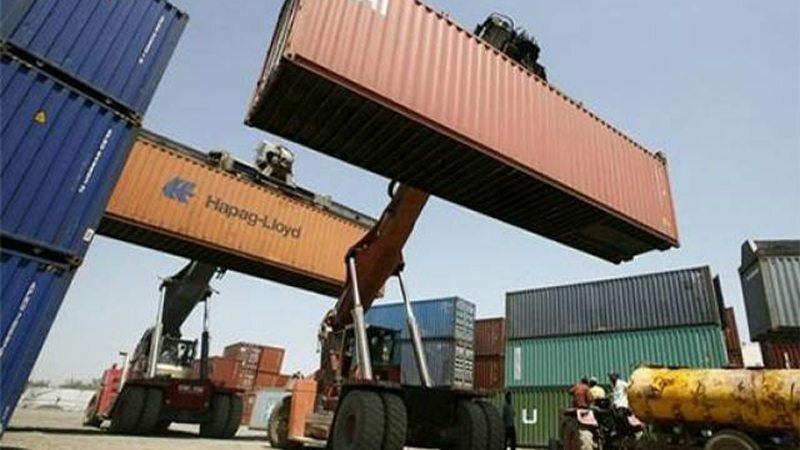 It was during this very same period and same global market conditions that other countries such as Bangladesh, India and Vietnam made gains in the export market share of those commodities in which Pakistan was once considered a respectable player. Even market access facilities such as provision of GSP plus status by China, European Union (before Brexit), United States and countries with which Pakistan has free trade agreements, is not able to help arrest this decline in exports. This decline in exports has taken place because of various reasons. These reasons alongside shortage of skilled labour, energy crisis, institutional rigidities, market imperfections and weakness in physical infrastructure also include flaws in business procedures and delayed announcement of trade policy. Looking at the outlook of Pakistan’s export by type of commodities, trade growth has been hindered. The key focus during this whole period was on textile, rice and leather as major commodities. During this period, cotton accounted for 53.1 percent of total exports. In 2013-14 it was raised to about 60 percent. Similarly, looking at leather in 2013-14, it contributed 5.1 percent to the total exports which was about 7.7 percent in 2016-17. And rice only witnessed one percent increase during this period from 7.6 percent to 7.7 percent. In one of the recent studies by the Sustainable Development Policy Institute (SDPI), a numbers of challenges were observed while taking into account the perspective of the business community. These challenges are related to infrastructure, trade promotion, doing business and facilitation. Firstly, markets are not mapped, meaning lack of market and need based research is resulting in low access to markets. This lack of research further results in low awareness in business communities related to benefits which can be obtained from trading with different countries. Second, as far as Pakistan is concerned, majority of the industries are under the jurisdiction of SMEDA. SMEDA has a strong mandate in this regard to help and promote b2b integration for improved value and a better supply chain. It has failed to play this role thus industry suffers from low quality standards in the global market. With this role of promoting b2b integration, where SMEDA failed there arise another challenge of connectivity where business community is suffering in the global market. Third, the core challenge of how to finance the business activities is also hindering the growth in trade. Due to difficulties in accessing the finance, growth rate for business remains low. Those businesses that have access to finance in the form of loans from different financial institutions are being dealt with strictly in accordance with the policies put in place by institutions giving loans. 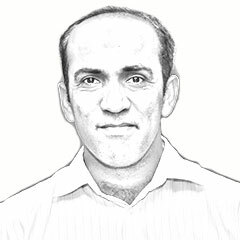 Fourth, the country’s irrational tax culture is also hindering the business community, causing it to suffer from double taxation at the provincial and federal level. This double taxation at one end increases the cost of input and on the other end also results in increased cost of compliance resulting in low productivity. Due to this high cost of compliance, a businessman has to spend more time in filing and paying returns. Further challenge in this regard is related to the concessions being provided to the international business communities including Chinese businesses operating under CPEC in Pakistan which is having influence on the local business community. With this influence, trade and business promotion is a challenge. Fifth, there is a lack of capacity building programs for business community thus resulting in use of obsolete technology or importing labour as is the case of CPEC. In case of projects functional at this moment of time, Pakistan is importing labour and various other business components from China. Sixth, as far as trade promotion is concerned role of commercial counsellors, TDAP and over 50 chambers working in Pakistan is missing. This missing role is in trade facilitation, market access and connecting business across the globe. Further this role is missing in targeting markets where Pakistani products can become a potential need in long run. Seventh, from policy perspective due to lack of integrated policy management, institutions having role in trade have weak role in developing long term trade framework. This challenge is also linked to missing one window operation which can link to trade facilitation in the long run. Since, trade policy (Strategic Trade Policy Framework 2018-23) is around the corner, there is need to develop long term strategy for decrease in cost of business, trade promotion and facilitation. Thus following are the steps which should be ensured. First, to provide market access and connecting businesses to the international market, there is need to ensure b2b integration. To ensure this integration, there is need to develop a framework for ensuring integrated policy management. Also to strengthen the supply and value chain mechanism this integration will play an effective role. This will only be possible with strengthening of the Board of Investment both at federal and provincial level. Within this integrated policy management representatives from provincial boards and federal can have a joint working group. This working group should also have representation from foreign, finance and commerce ministries. The role of this working group should be to have a unified policy at national level and provinces taking benefit from it where needed to bring in investment in the country. This unified policy should focus on investment promotion by taking into the consideration inward and outward in the form of regional integration. Second, commercial counsellors, TDAP and chambers have significant role in trade facilitation and promotion. This role should be determined by ministry of commerce accordingly. For commercial counsellors there should be target defined for exports. This target should not only focus on facilitation in policy but also in identifying markets where Pakistani products can have potential demand in long run. Similarly TDAP and chambers should be given mandate to educate business community about trade promotion, certifications to meet standards and marketing commodities in international markets. This role of trade facilitation in terms of doing business is also for the regulators including FBR where there is need to have rational and harmonized tax structure. Third as far as product development and compliance is concerned all those entities involved in trade promotion and facilitation needs to have a capacity development program in this regard. Further, this policy should help in facilitating traders and business community in such a way that they move towards finished goods. For this government should facilitate business community in accessing finances to meet the costs which will be incurred in this regard. Similarly, there is need to ensure easy compliance mechanisms in place. These easy compliance mechanisms can only be ensured if procedures to deal with regulators and all relevant institutions are made easy. Fourth, to promote branding there is also need to strengthen institutes such as IPOs by accepting their mandate. For this strengthening, IPO need to have easy mechanism from registration to processing in long term. Such institutions can further help and promote brands and through this revenues can be earned in the long run. As Strategic Policy Framework (2018-23) is around the corner and will be coming this year, these measures beside addressing infrastructure challenge can help in promoting trade in the long run and can help in achieving the export target. Published in Daily Times, February 27th 2018.